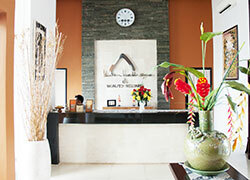 Spa Kubu Bali spa located Jimbaran area is new spa opened in 2013. 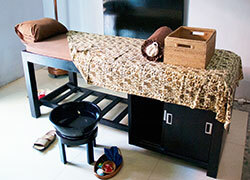 Their simple and modern concept offer nice and calm atmosphere in treatment room. You can enjoying while taking treatment time by high skill therapist. We recommend long time package plan which including mea and gift. 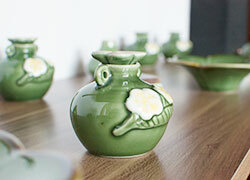 It is perfect spa for those who looking for satisfied treatment with reasonable price. The popular menu since HIRO-Chan established!! All in one package menu such as free transport, variouse kind marine sports, lunch, 3 hours spa included. 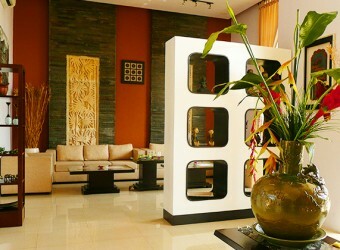 Marine sports company located near by Toya Spa which in Nusa Dua so you can spend all day at spa. Please, choose one of the 2 courses for each! Nusa Dua, Jimbaran,Kuta, Seminyak, Sanur ：Free transport is available. * Maximum 10 people for one car. Children can wait at spa lobby or treatment room. Also treatment menu are available from Age 12. ・Welcome drink for all treatment menu. ・Not available body treatment for pregnant women. Please use facial or cream bath.